Fully guided snowshoe or ice cleat tour of Ausable Chasm! This two hour tour is perfect for those seeking an extensive exploration of the chasm. Our experienced guides take you right down into the chasm to get an up close look! 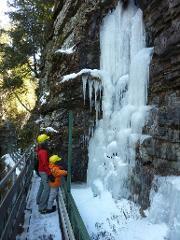 Self guided snowshoe or ice cleat tour of Ausable Chasm! 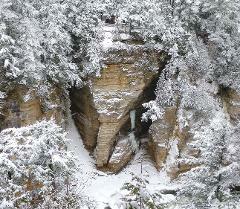 This self guided admission is perfect for those wanting to explore the chasm in winter on their own. Ice cleat or snowshoe rental is not included.